The essay in Criterion’s booklet says this film is “the closest thing England has produced to its own Mean Streets“, but that seems like an inaccurate comparison to make (though not as far off the mark as my Harold & Maude comparison in my previous review). To me it feels closer in spirit to The Wild One. “What are you rebelling against?” “What do you got?” Or to get away from comparing it to American films, the “angry young man” movies of the British New Wave, which also coincides with the time period that this story takes place in. Jimmy is a restless, rudderless, and certainly angry young man. His fleeting moments of happiness come from drug-fueled bursts of chaos and violence, and his pointless attempts to be seen as a “face”, one of the leaders and tastemakers of the mod scene. 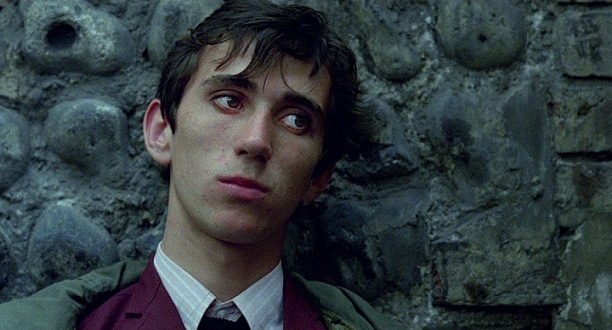 More than his peers, Jimmy — a marvelous, jittery performance by Phil Daniels, whose resemblance to a young Pete Townsend is perhaps not so coincidental — buys into the mod culture as a means to an end. And when the closest thing he has to a role model is demolished, is it a rebirth for him? Or is he doomed to repeat the cycle, perhaps in some other subculture? My complaints on my first viewing now seem pretty irrelevant, like someone searching for nits to pick. Yes, Jimmy has unlikable qualities. What a weird thing for me to gripe about. I don’t even know where that came from. And yes, the actual “Quadrophenia” music is incongruous with the period, but I don’t necessarily see that as a negative anymore. It’s not a purely period film, but a contemporary movie interacting with the period, commenting on it. There is a little too much of the newer music in the final 20 minutes, though. The use of “5:15” works brilliantly but after that I think it might be laid on a bit thick. Or maybe not, maybe I’m just looking for nits again. This entry was posted on September 3, 2012 at 9:04 pm	and is filed under Movie Reviews. You can follow any responses to this entry through the RSS 2.0 feed. You can leave a response, or trackback from your own site.